(CNS): A legal dispute between one of the acquitted defendants in the fraud case Cash4Titles and three local auditors has been settled outside of thecourtroom, according to a statement released by Pinnacle Publishing on Friday. Lewis Rowe, who had been charged in connection with the famous fraud case and was acquitted at the end of the trial in 2005, had filed a law suit in February 2011 against government, Dan Scott, James Cleaver and Richard Fogerty, who acted as the original liquidators in the case. Although it is unclear on whose behalf the statement was officially issued, it said that none of the parties had accepted fault but the dispute was over. No settlement figure was revealed but whatever payment was made to Lowe, it was indicated that Scott had made no contribution to it. Rowe was arrested in connection with the case in September 2000 but claimed the case against him was based on suspicions from one report written by auditors that were never properly investigated or ever amounted to a real case against him. In his suit he had stated that he had lost millions of dollars as a result of the case based almost entirely on a report accusing him of misconduct that he said was based on no material evidence but merely the suspicions of the auditors. Lowe had also claimed that Scott, Cleaver and Fogerty owed a fiduciary duty to keep the promissory notes and other assets seized from him as a result of the case safe until he was in a position to get them back, but he had claimed in his writ that they did not do so. “The defendants acted recklessly and irresponsibly in surrendering the said promissory notes,” he said, stating that his assets were never returned to him. The Cash4Titles fraud case, which related to a US-based business that gave small short term loans based on the security of their car titles, was revealed to be a Ponzi scheme after the investors were found guilty in the US of diverting funds. Rowe, who was an investor in the company, was originally charged in connection with the case with assisting another to retain the benefit of the proceeds of criminal conduct. 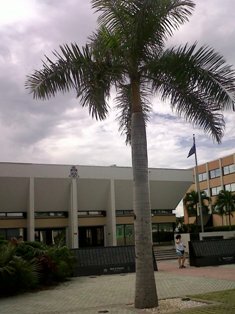 This settlement applies only to the auditors and CNS understands that Rowe’s dispute with the Cayman Islands Government has not yet been resolved. "Lewis Rowe, Dan Scott, G. James Cleaver, and Richard Fogerty have reached a settlement ending all legal disputes between the parties. The settlement provides for no admission of fault by any party, the dismissal of Mr. Rowe’s claim filed in February 2011 against Messrs. Scott, Cleaver and Fogerty, the dismissal of the claim filed by Messrs. Cleaver and Fogerty against Mr. Rowe in 2005, the dismissal of Mr. Rowe’s counter-claim filed in response to the 2005 claim, and the mutual release of all other claims which may otherwise arise in future. Mr. Scott did not contribute to the settlement."